British Columbia’s EV tipping point may be closer than you think. When you factor in the cost of gasoline, the average electric vehicle is already substantially less expensive that a gas car. Level three charging stations, capable of delivering an 80% charge in 30 minutes, are creeping up the east coast of Vancouver Island, BC. There are now seven stations along the coastal route between Sidney and Campbell River and sixteen in the Greater Victoria area. (In addition, there is a Tesla Fast charging station in Nanaimo and another planned for Campbell River.) 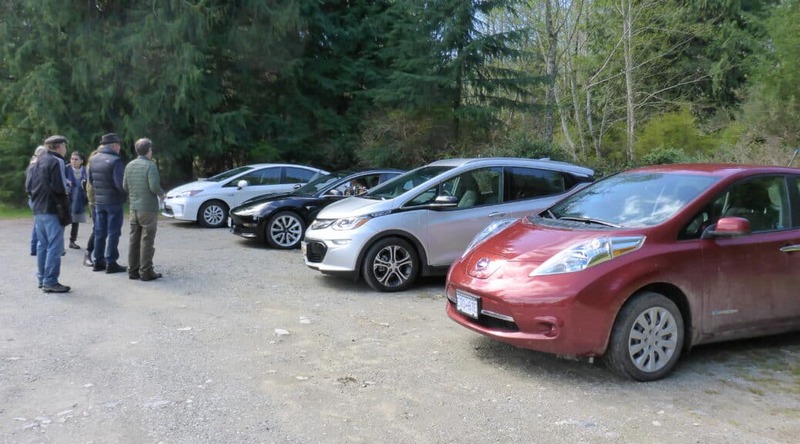 Now even people in remote locations like Cortes Island are going electric. On Saturday, April 12, three of the island’s six (and counting) E-car owners explained why electric is better — even on a remote island.